Today is a moment in time, you can seize the opportunity and fulfill your dreams, or let the day pass you by. You can own and invest in one of the country’s best motorcoach resorts, where luxurious RV living is being defined in an unrivaled natural setting. Hearthside Grove is what you have been waiting for and has been crafted with the care and attention to detail you deserve. The time is now to live your dream. 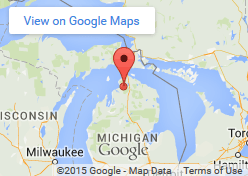 Experience unparalleled luxury and natural beauty in Petoskey. Inquire about ownership opportunities including landscaped lots with bungalows, water views, fire pits, and all the conveniences that come with owning. Find your way home and own a piece of the North. For example you may type the words “For Sale” to search for all current lots for sale. Click on any lot number above to view images and the description for each property. Will the resort help buyers of lots with layout and design? Hearthside Grove will utilize talented designers to put into place the best ideas of each new lot owner as they design the interiors. Customization will be very fun with such a flexible platform to work with. Building out the Bungalow and lot all at once will be a good opportunity for a perfect indoor/outdoor balance. Do buyers have to decide everything about lot design prior to the start of construction? The general layout of the lot including brick paver pad color, the Bungalow location and exterior finish will need to be determined so the shell can be built. Beyond this the unit can remain unfinished on the interior until final plans for layout can be accomplished. Basic landscaping will be required at the time the Bungalow is constructed. Will the new lots be open in the shoulder and off season to enjoy? 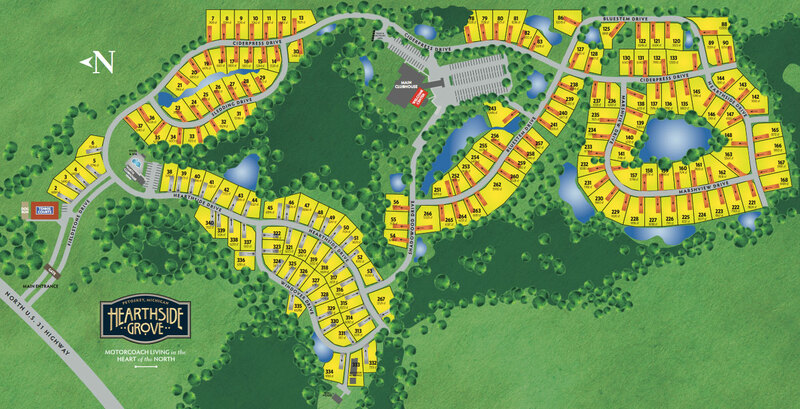 All of the lots at Hearthside have been and will continue to be open all year for enjoyment. Both with and without coaches there are owners who enjoy their lots every month of the year. With the new Bungalows offering additional conditioned space it will likely lead to additional visits by lot owners. How will the addition of new Phases affect the existing lot values? Just as a rising tide lifts all boats, the new activity at the premium end of the product offerings should bolster existing lot values, increase sales and raise awareness of Hearthside as the most dynamic and beautiful place to spend the spring, summer and fall. The same goes for most neighborhoods and coaches for that matter. Having a nice variety of amenities, sizes and price points creates a robust market that is fun to shop in.